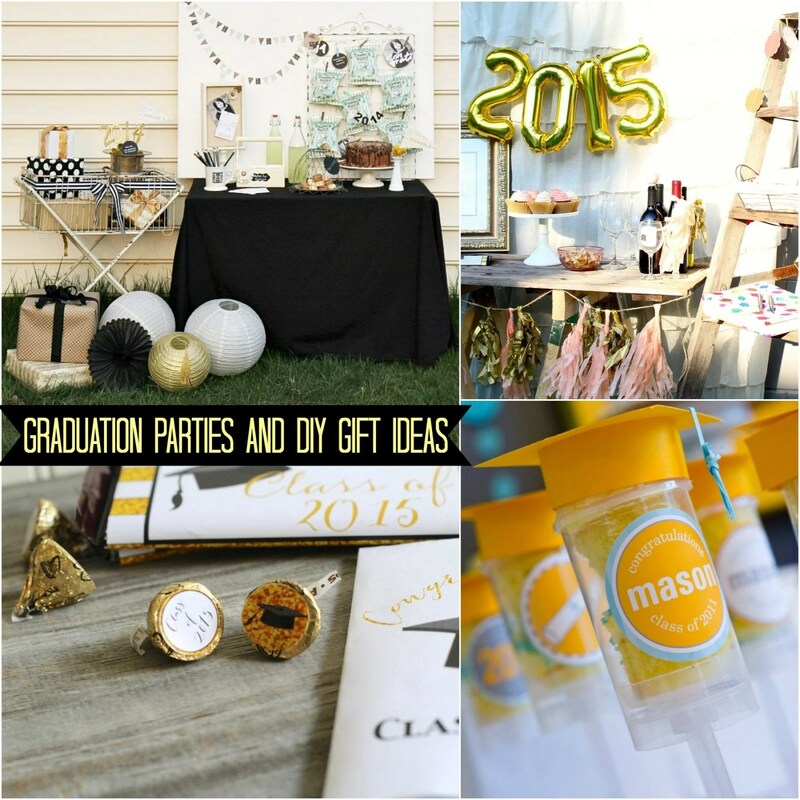 Graduation is just around the bend- give your grads a reason to really celebrate! They spent the last 13 years IN school, just for this moment!! You’re letting them go off in the real world shortly, so what better reason to have a party? Other than them getting some extra funds and a little bit of fun time with their friends! This post is courtesy of contributor Shanna…. 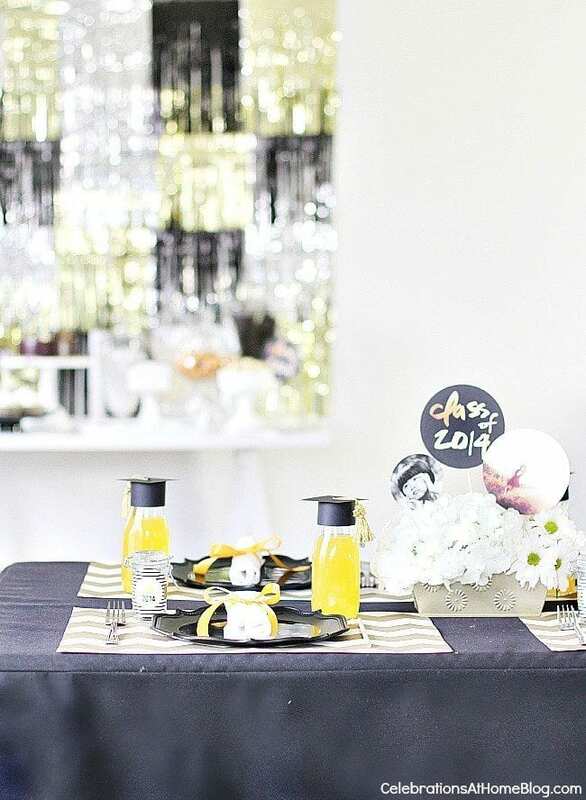 I have come up with 6 awesome Graduation Parties that you can draw inspiration from for your own- maybe do it in your child’s school colors? Or maybe even their College choice colors! Use your imagination- I am sure they will greatly appreciate this party for them. They sure worked long and hard for that diploma! Check out this ‘Can’t Stop, Won’t Stop’ Graduation Party that Everyday Party Magazine put together. I love the use of the ladder next to the table! She kept the table so simple- only having candies, cupcakes, and the drinks. Celebrations At Home wanted to do a grad party that had a modern look, but staying classic. 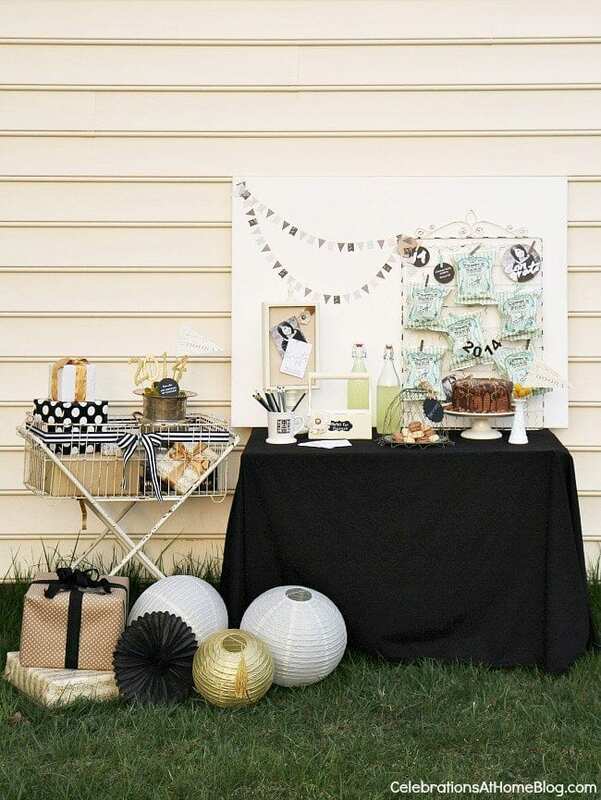 They did a Modern-Classic Style Graduation Party that was put together with a lot of DIY elements. I really love the look of the guest table centerpieces with pictures of the grad. All of our students need the ‘Keys to Success’ to be able to succeed. This little table is set up with little notes for guests to write on to congratulate the Graduate and give them tips on how to make the most of their life in the real world. 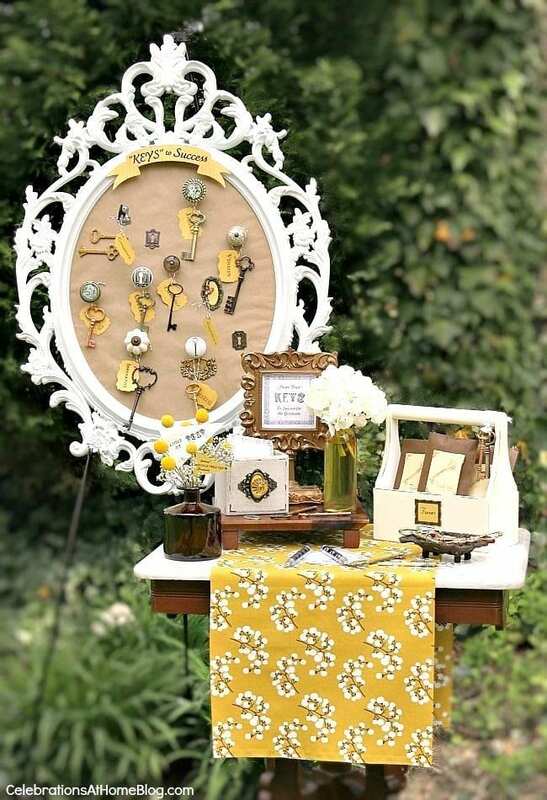 Celebrations At Home really hit the nail on the head with the keys and knobs in the picture frame! I love the use of different keys! 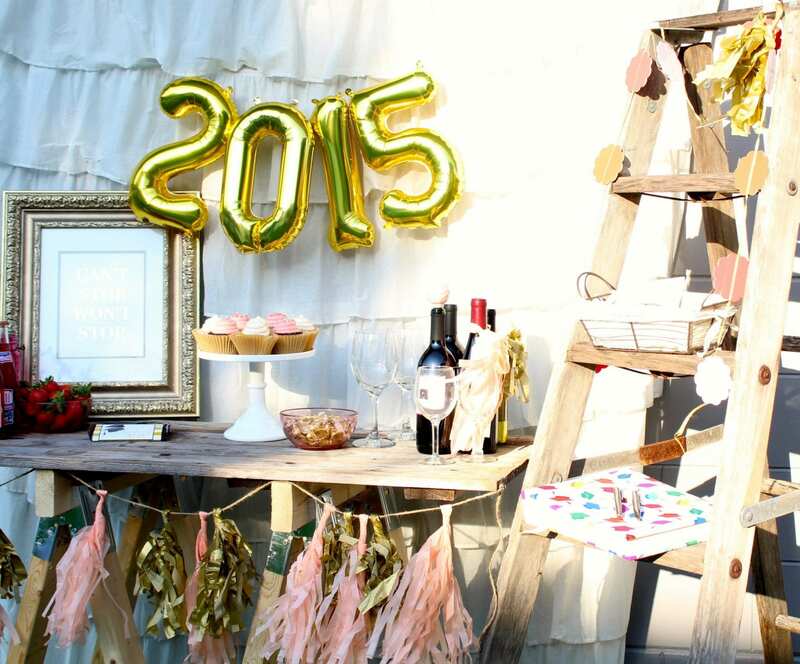 Celebrations At Home also put together a Shabby Chic Graduation Party that is simple, but so fun. 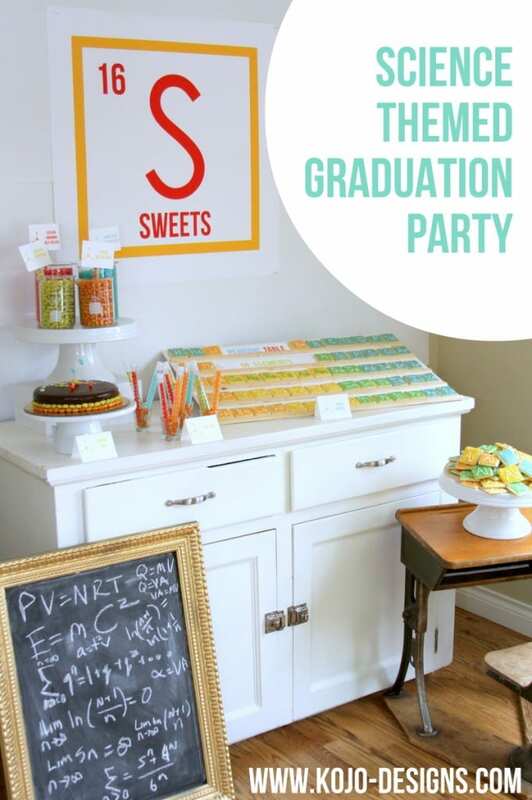 The backdrop has photos of the grad along with a wire rack that kettle corn is clipped to! I really love that little vintage basket for the gifts! Is your graduate a Science loving person? This Science Themed Graduation Party is for them then! I love how Kojo Designs put their elements cookies in a periodic table chart form! You HAVE to check out the ‘Drink Lab’- it is set up like a Science Lab table! Now, what fun is a graduation party without gifts?? A gift card works wonders in the graduate’s favor- but include something a little more fun and something handmade with love! You know that your graduate has LOTS of photos from their time in school and with friends and family. Take some of those photos that you see from their Facebook or Instagram accounts and turn them into a DIY Photo Collage that they’re sure to love for many years! It is also a fun centerpiece you can use during their graduation party. 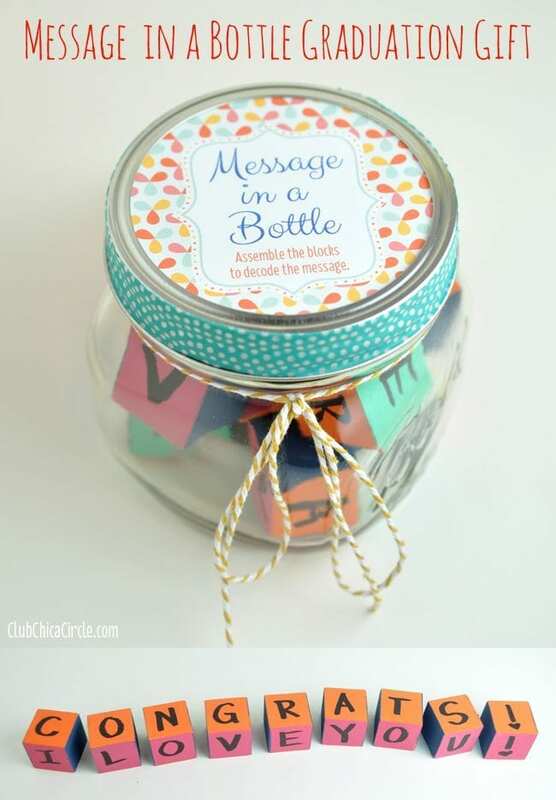 This Message in a Bottle jar gift has lots of fun painted blocks with a great message for the Graduate! Include some cash or a gift card in with the blocks! This is a great Class of 2015 free printable that was used at the Can’t Stop, Won’t Stop Graduation Party. They are candy bar wrappers and little Hershey Kisses stickers! 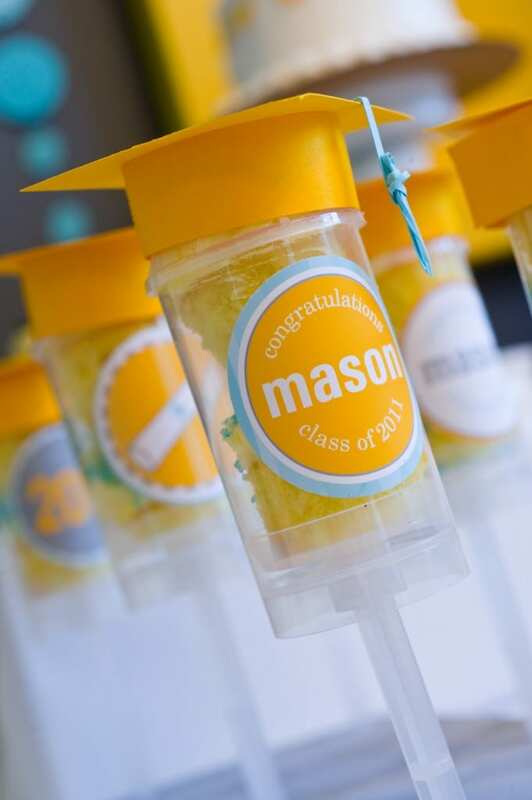 I absolutely love these little graduation caps on the push pops! Come check out the Graduation Caps Push Pop Tutorial! 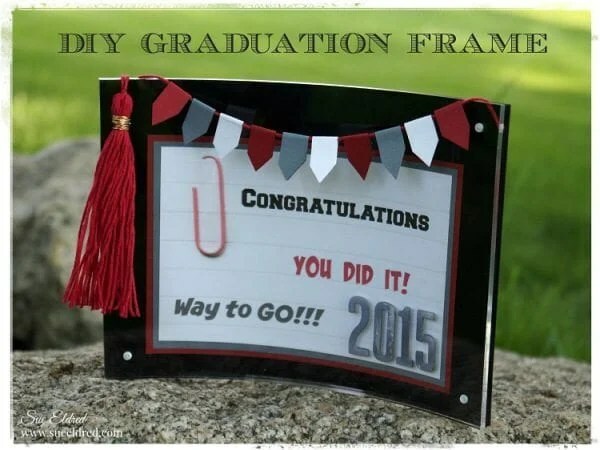 This is a sweet DIY Graduation Frame that can be done in the school’s colors. 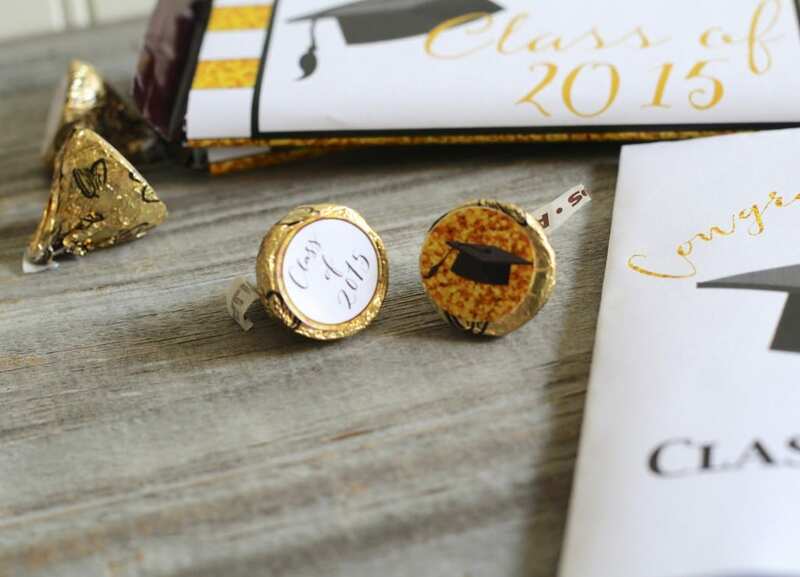 It allows you to add a tassel and a congratulatory message. Create Ur Plate has some really amazing plates that you can order! But guess what? They’re clings for the bottom of the glass plates! 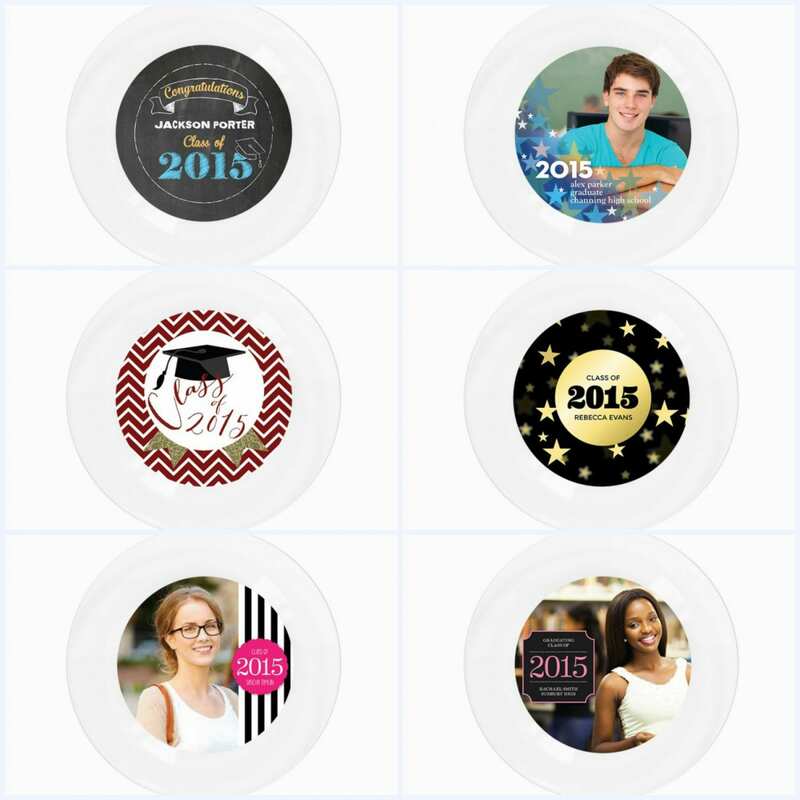 You can even personalize some of the sticker designs- and order many different styles too! They even sell the plates too! How fun is that! 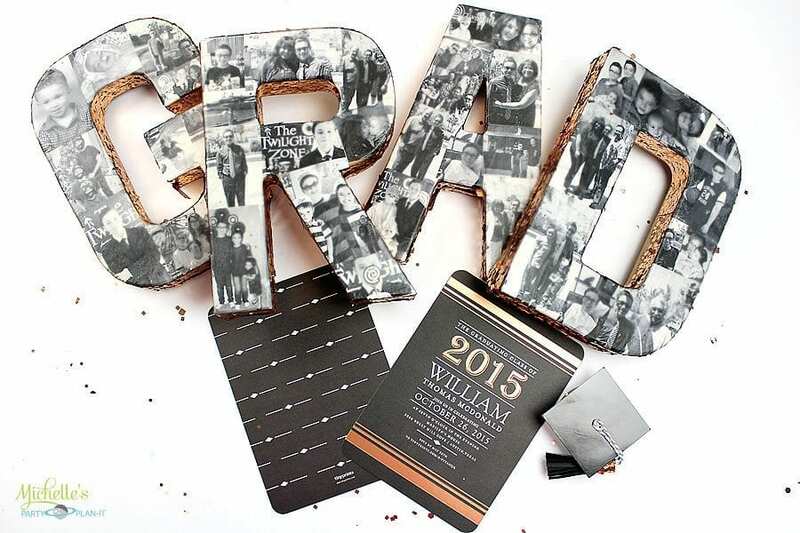 Give the graduate a dressed up DIY Treasure Box full of fun trinkets that remind them of their school. I love how the dollar bills are rolled up like little diplomas! It really does not matter which route you take when it comes to celebrating the Graduate, as long as they know their hard work is well deserved! It is just a fun idea to throw a party for them and their close family and friends to show how proud you are of their accomplishments! We all know school is sometimes not so fun and it sure took a long time for them to get to this point in their life!